A climb of just 33 metres may sound little more than a bridge over a railway line. But, that is only part of the story of Michaelgate. 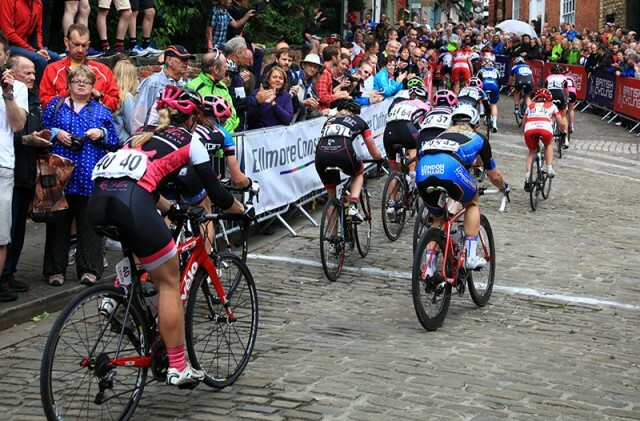 This short cobbled climb has provided a decisive factor in many major UK road races, in particular the annual Lincoln Grand Prix and also the 2015 British road race championships. It is an iconic climb with Lincoln castle on the left and Lincoln Cathedral on the right. There is a road called ‘Steep hill’ joining Michaelgate near the top of the climb. The real test of Michaelgate is when it is ridden several times during a 100 mile road race. 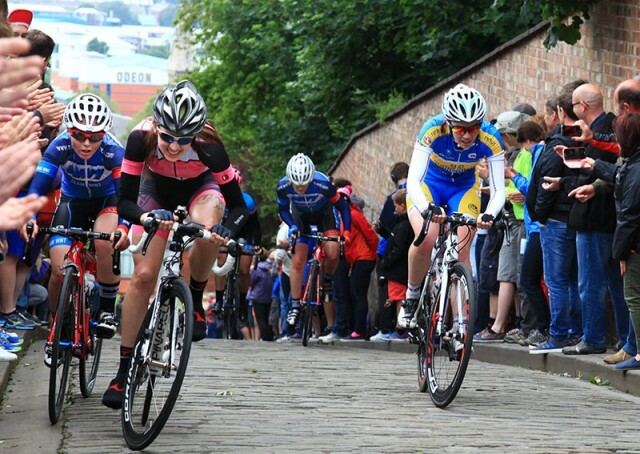 IT is one thing to blast up the cobbles once, but the repeated visits up the climb invariably split the race apart. The 2015 British Road Race championship were won by Lizzie Armitstead and Peter Kennaugh.